The tickets for the Cervezas Victoria Marbella Master are now on sale! 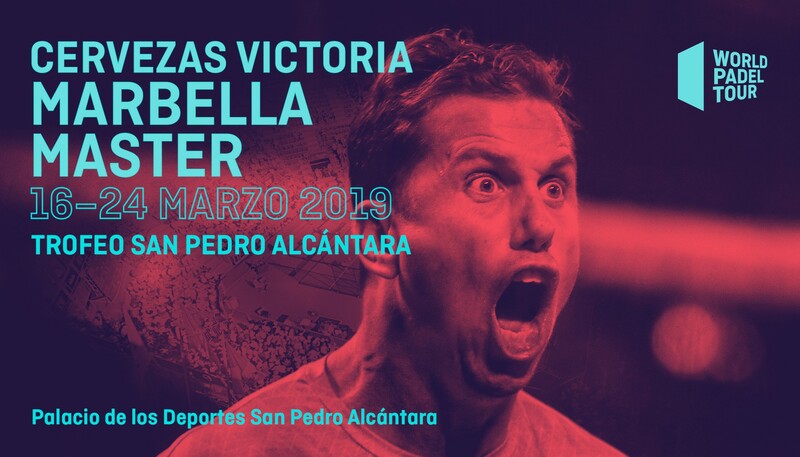 The Cervezas Victoria Marbella Master, San Pedro Alcántara Trophy, will kick off the 2019 season of World Padel Tour and you can get your tickets for the first event of the year. From March 16 to 24, the Elena Benítez Sports Pavilion will host the first Master of the season, which will feature men's and women's competitions in two central courts to double the excitement of the best padel in the world. Grab here your tickets for the Cervezas Victoria Marbella Master. Two exceptional Andalusians players such as Paquito Navarro and Carolina Navarro put the image on the first official poster of the 2019 season, a season that is presented as one of the most even and exciting in the history of professional padel. The competition in the Elena Benítez Sports Pavilion will start on Tuesday, March 19, with the dispute of the four final matches of the previous phase that give access to the final round of the Master category tournament, the highest score of the competition. On Wednesday the men's round of 32 matches are played in full on the two center courts. And starting on Thursday, the male and female competitions will play everything in the central until Sunday, where they will play the two finals that will decide the winners of the San Pedro Alcántara Trophy. Do not hesitate and get your seat at the Cervezas Victoria Marbella Master to start the season in style! Here you can get your tickets for the sessions from Tuesday to Thursday, as well as the subscription to enjoy the magic of the first tournament of the year in full.